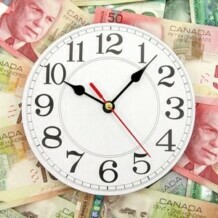 Home » Blog » Are You Selling Hours or Solutions? Are You Selling Hours or Solutions? I do a lot of business networking and I’ve noticed how common it is for entrepreneurs to price their services by the hour. If someone is already sold on the idea of using their services, that’s one thing. Once the commitment is there, then the price is simply information about the payment terms. Clients don’t buy hours. They buy solutions. That’s a big fat number one on the list. Some prospects may already be convinced that there is no one but you in the universe they want as their provider. So it’s tempting to bypass the process of discovering what their wants, needs and pain points are before proposing a solution. Even then, and sometimes especially then, it’s important to discuss what result the client is looking for so that your work is purposeful in their minds and the sense of achievement on both parts is enhanced. The client doesn’t always know what they need. You are the expert in your field and it’s a stretch for you to expect a client to already know the benefits of your service and how much better off they’ll be after working with you. It is your job to guide them through understanding the consequences of taking no action vs. a more fulfilling future as a result of trusting you to help them. You will learn more about this process in my article on Consultative Selling. Selling hours is hard! It takes a long time, selling one hour or one service at a time. Instead of a continuing client relationship with a pre-agreed plan, you have to resell every unit over and over again. Quoting prices up front turns your product or service into a commodity. That is not how you want to be known. Commodities are products that are primarily uniform in quality based on their definition. That means that commodities sold by any supplier will be almost exactly the same as that product sold by another supplier. In this case, price matters to the buyer. What you provide is an experience! Your sales process should reflect that, and if it doesn’t, you can expect a lot more price shopping on the part of your prospective clients. Just don’t make it a habit of quoting prices too soon. OK? 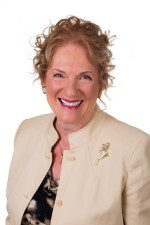 Call me for a complimentary coaching session on your sales process. I’m always happy to help.